On Thursday morning, Donald Trump's presidential transition team announced that Kellyanne Conway will serve as counselor to the president. 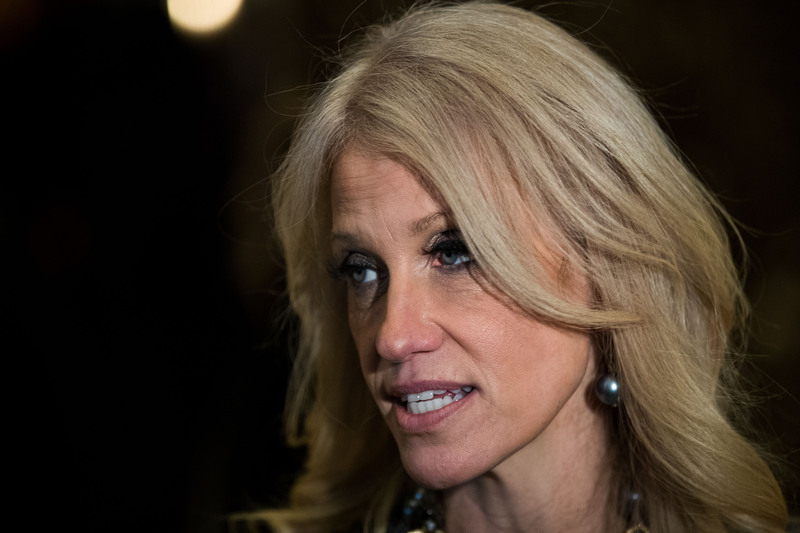 In a press release, the transition team announced that Conway, who served as Trump's campaign manager for the final stretch of the election, will "continue her role as a close advisor to the president and will work with senior leadership to effectively message and execute the Administration's legislative priorities and actions" in this White House role. Conway has been one of the most visible and influential members of Trump's campaign and his transition team. "Kellyanne Conway has been a trusted advisor and strategist who played a crucial role in my victory. She is a tireless and tenacious advocate of my agenda and has amazing insights on how to effectively communicate our message. I am pleased that she will be part of my senior team in the West Wing," Trump is quoted as saying in the press release. Conway is also quoted in the press release, thanking the president-elect "for this amazing opportunity." She continued, "A Trump presidency will bring real change to Washington and to Americans across this great nation. I am humbled and honored to play a role in helping transform the movement he has led into a real agenda of action and results." In a line that is hard not to read as a dig at his opponent, Democratic nominee Hillary Clinton, the press release from the transition team boasted that Conway "also shattered the glass ceiling for women" because she is the "first female campaign manager of either major party to win a presidential general election." Conway played an essential role in defending Trump after the 2005 Access Hollywood hot mic tape was released, in which the president-elect bragged about grabbing women "by the p*ssy." When multiple women came forward with allegations of inappropriate sexual and romantic behavior against Trump — all of which the president-elect vehemently denied — she was one of the top surrogates for him. Last month, Conway criticized a student who asked her doing the questions section of a panel how she reconciled working for Trump as a woman when he "admitted to a tape where he seemed to be describing sexual assault." Conway responded, "For you to use sexual assault to try to make news here I think is unfortunate, but it also doesn't matter because Donald Trump promised he’ll be a president of all Americans."